Racing worlds collide: Champions from different forms of racing, on opposite ends of the world are set to swap rides. 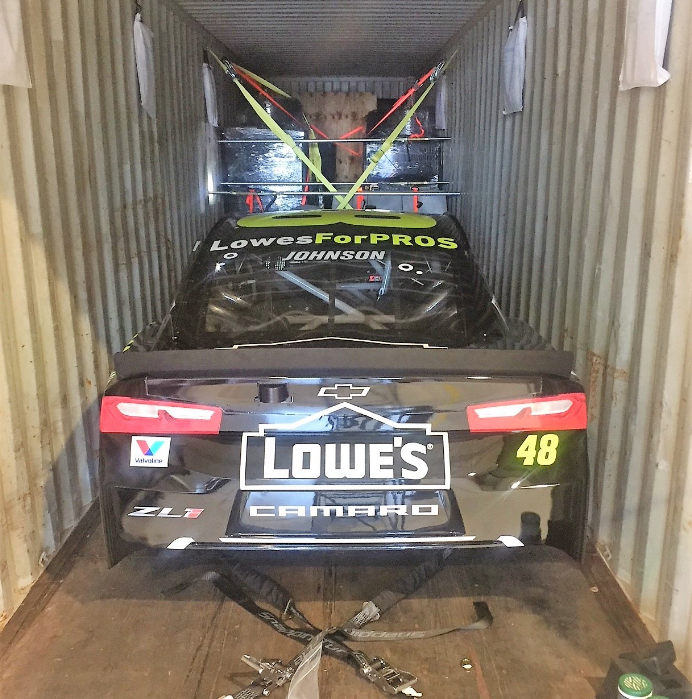 Hendrick Motorsports has loaded up their backup car from the Roval event and stuffed it in a shipping container. The NASCAR race car was then sent on a ship across the pond. The car has since arrived in Dubai. For there, it’s going to take a round about way to the Bahrain International Circuit. On November 26th, Jimmie Johnson and Fernando Alonso will swap seats. Alan Gustafson, crew chief for Chase Elliott will make the trip. Chad Knaus put a lot of work into the project. But, he’s choosing to stay home with the baby. It started as an idea for a track in the states. Indianapolis Motor Speedway and Homestead-Miami Speedway to name a few. 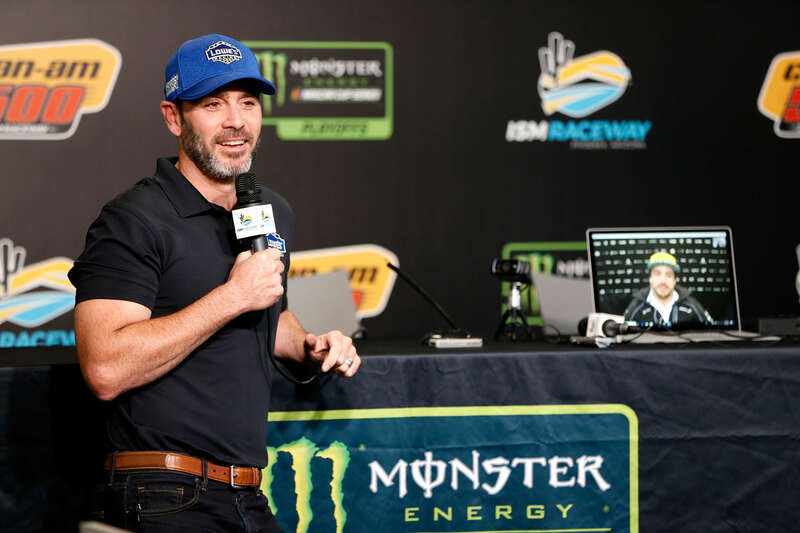 Jimmie Johnson setup a press conference at ISM Raceway to discuss the details of the trip. Fernado Alonso made an appearance as well via Skype. Seat swaps between NASCAR and F1 have been doing before. In the old school days, drivers used to crossover. But, those days are all but gone. Jeff Gordon and Tony Stewart have both run a F1 car in a swap session. But, this one is going to be different. Specifically because Fernando Alonso wants to run a lot of laps. It’s also different than past swaps, based on the location alone. Previous swaps have taken place in the United States. This time, a NASCAR race car has been shipped overseas. “I just want to do something different than what had been done in the past,” Johnson explained. This all started last year when Fernando Alonso visited Daytona International Speedway to complete in the Rolex 24. He was amazed by the speedway and said he planned to watch his first Daytona 500 after seeing the track. From there, Jimmie Johnson and Fernando Alonso came in contact. At the end of the 2018 F1 racing season, Fernando Alonso will move on from the sport of Formula One. He announced his retirement via a video earlier in the the year. But, he’s far from done with racing. He’s just done with being one of the best drivers in the field and fighting mid-pack for single digit points in a car that underperforms. For 2019, he’ll return to the Indianapolis 500. That’s something he explored in 2018 as well. Is Alonso considering a move to NASCAR? “The first thing is going to be to have fun. 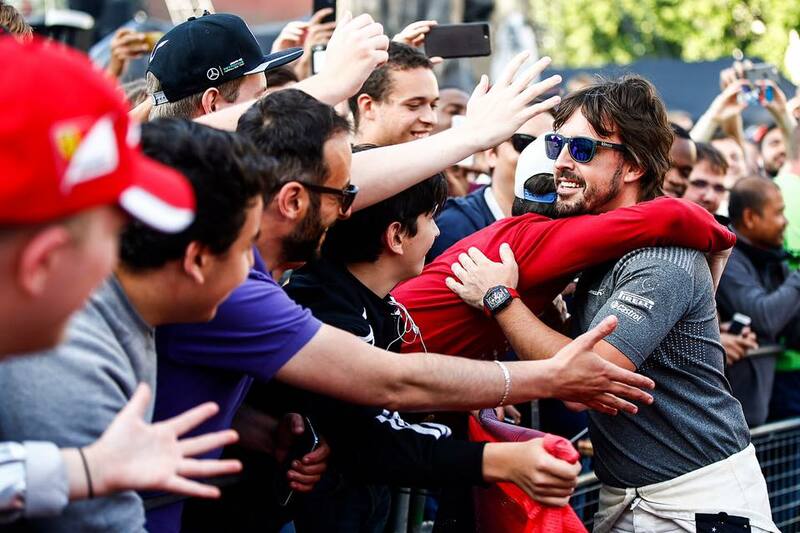 I love racing, any type of racing,” Fernando Alonso said. These two cars are wildly different. Actually, it would be difficult to make them any more different. The NASCAR race car is crude on purpose. It’s big, heavy and the brakes don’t exactly work all that great. The steering is lazy. There’s nothing wrong with any of that. In a time where cars in other series are outperforming the race tracks, it’s a nice change of pace. It offers a unique challenge for drivers to handle the crude machine. In F1, it’s the pinnacle of technology. The automotive industry is fueled by advancements from Formula racing. The cars are tiny. Every bit of extra weight has been shaved. It takes 6 months to make one carbon brake disk. They are powerful but they also stop on a dime. Fernando Alonso is used to brakes that work. He’s not used to heavy machines that will blow right through the braking zone. 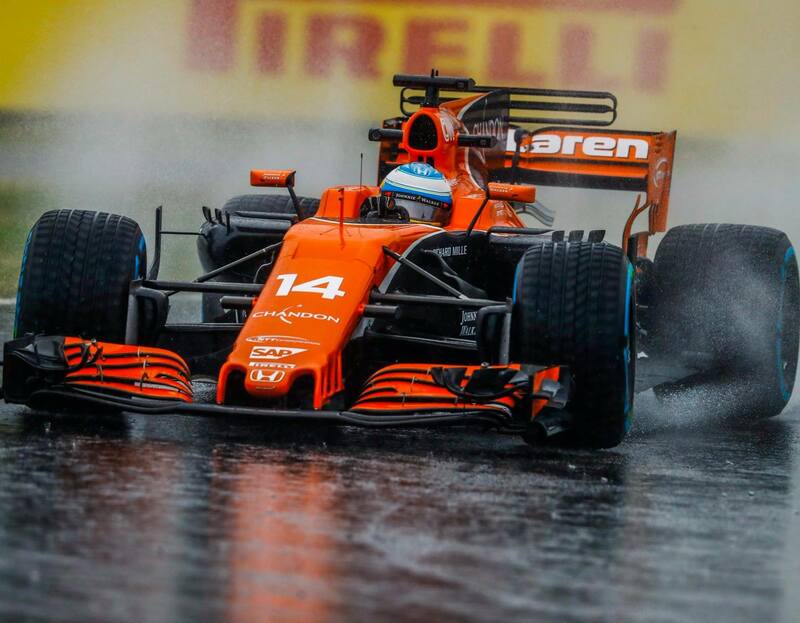 “Unfortunately, maybe I will have the wrong braking points, references in my mind,” Alonso explained. “The first couple of laps, it will probably be interesting to see the difference between the cars and approach of the lap. “Hopefully, I can adapt quick enough and maximize some of the potential. Not to the level of Jimmie but to have a reasonable pace,” Alonso concluded. Jimmie Johnson will have the same missteps. For him, he’ll brake to early then he’ll have to return to the gas to get to the corner. “I think we’re both going to miss turns,” Johnson explained. “But, I’m going to have to put it back in gear and move up to the apex. Where Fernando stands the chance of missing the turn all together,” Johnson says with a laugh. “In a Rolex car that I’ve competed in there, you’re down to about the 1 and half to the 1 marker. In a F1 car, I guess they might not even have to lift for that section of the track,” Johnson stated. “My friends are all pretty jealous. You can imagine what Clint Bowyer had to say,” Johnson concluded. What do people in Europe think of NASCAR? Bahrain is not like any track Jimmie Johnson has been on in the past. In fact, he says he’s never been to the Middle East. So, how is he going about learning the characteristics of the track? “I’ve been playing it on my phone and also on playstation,” Johnson says with a smile. 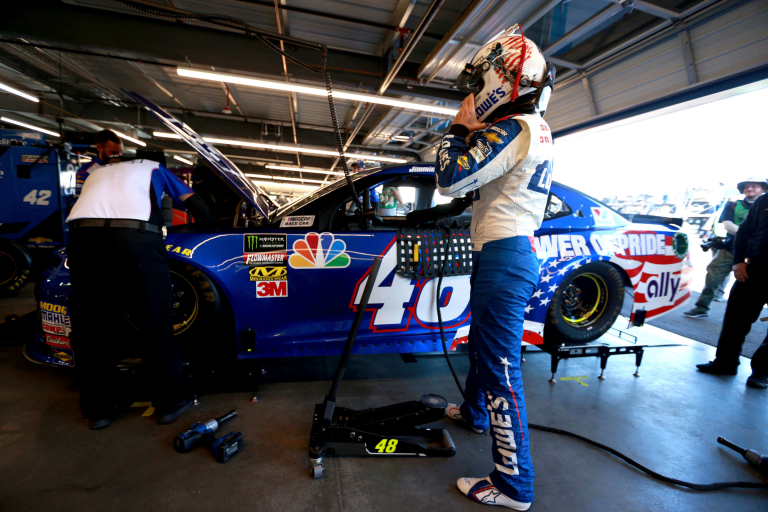 After Homestead, Jimmie Johnson will get on a plane and fly to London. He’ll jump into the McLaren simulator at Bahrain and get fitted for a seat. “So, I can just figure out how to leave the garage area, for starters, I guess. There’s a lot of new things going on there,” Johnson concluded. The seat swap will be available for viewing. Those details have still not been released.